Of course, butter, is from cows milk!!! you might be actually getting more than cows milk from that butter that you think is butter. Let's not even begin with "I can't believe it's not butter" scam of a scam. That thing is made from heart clogging vegetable oil - a no good "highly processed unnatural oil" - marketed to be healthier because it's from "vegetable" oil. It's deceitful and wrong to market it "healthier" when butter is by far the more natural choice - you can make butter from scratch in your kitchen, then that's natural and a better choice to put in your body. Anything highly processed can't be good for you. "anchor butter" is our choice of butter! Because it's from 100% cows milk (not rats). 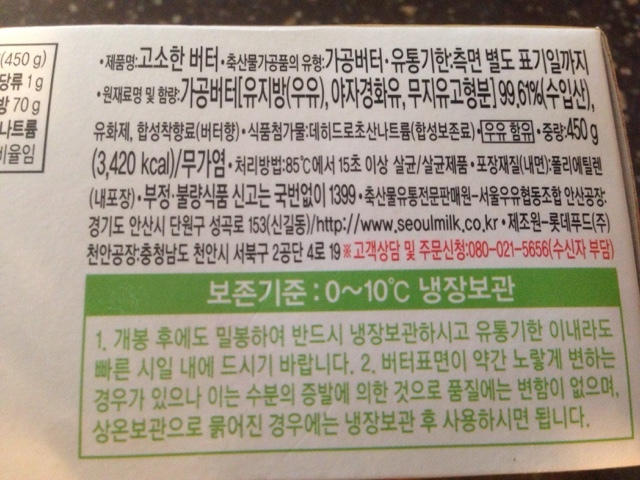 Compare this pure cows milk fat to "seoul milk"s brand "butter" below. 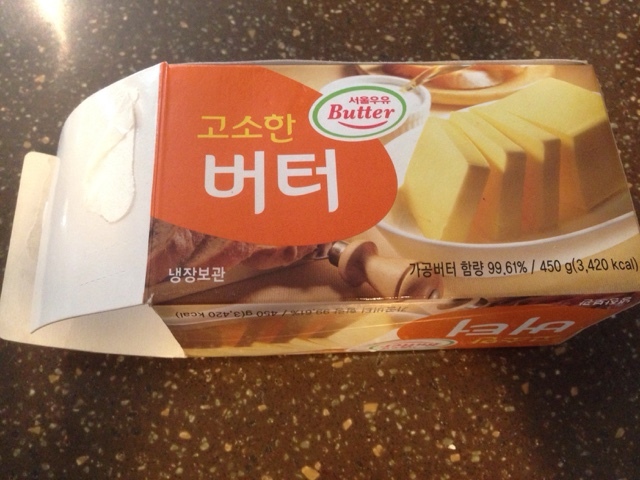 It looks like butter and it says it's butter, but is it really butter? Check the ingredients and you can see that the second ingredient listed is "Palm oil". As you can see not all butter is from pure cows milk (plus water and salt are fine). 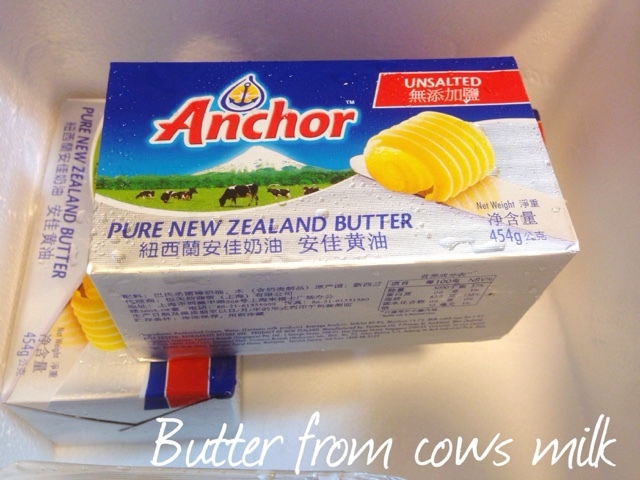 You can get Anchor butter from specialty stores or online. Emart carries pure milk butter from France(called "Isigny") that I like but it's on the pricier side.